Almost like new rambler located in the desirable Summerhill neighborhood with slated entry & 9' ceilings. Excellent separation of space w/master on the opposite end of home that includes a 5 piece en suite w/dual vanities, 6' jetted tub & large walk in closet. Nice sized office with french doors leading out to the open concept living space. Kitchen boasts granite counter tops, maple cabinetry & eating bar. Over sized 600 sq ft 2 car garage also has a bonus heated storage room! 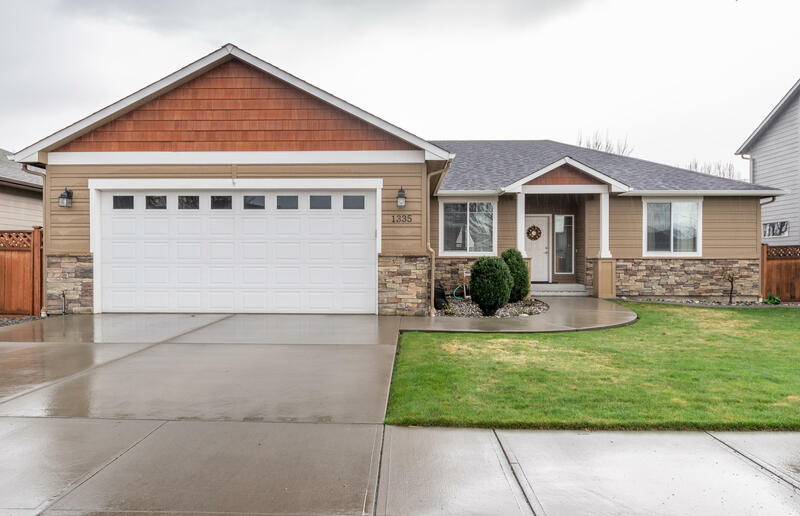 Enjoy the views of the majestic mountains that surround our valley while out back on your 10'X30' patio or cozy up to the gas fireplace in living room. This home has been very well cared for and is ready for it's new owners.